We are going on a limb with this one: Tom Brady and Gisele Bundchen likely have a prenuptial agreement. We haven’t seen it, but hopefully, he made provisions for him to retain all of his Super Bowl rings and his MVP trophies if their marriage ends. If at the time of the marriage, Brady disclosed that he owns three Super Bowl rings and a couple of trophies, but didn’t make provisions for the future? In that case, his wife may have a claim for rings and trophies for the fourth and fifth as marital assets. OUCH (especially for number five). We love prenuptials for average couples because they create an opportunity for them to have uncomfortable conversations about their priorities and financial future. Have you been married before? Do you have children? Do you have some savings or a home? If the answer to any of those questions is “yes,” then a prenuptial is an important legal protection for you. The agreement must also be fair and reasonable at the time of divorce. Given the second look at the time of divorce, it would be unlikely that our GOAT would lose his fourth and fifth rings if they were not protected in a prenuptial. That would just be unfair and unreasonable, wouldn’t it? Thank you to everyone for your amazing feedback on the last newsletter! Since it was sent last week, I have received a handful of questions about how inheritances are divided during a divorce. Inheritances may be subject to division if they are received either before or during the marriage unless there are terms in a pre-nuptial agreement specific to this situation. In my experience, this is often one of the most emotionally charged areas of contention, slightly behind child custody. Not surprisingly, the person who received the inheritance typically feels entitled to keep the entire thing; on the other side, their spouse often feels entitled to at least some portion of the inheritance. Generally speaking, Judges consider when the money was inherited and how it was used during the marriage. In doing so, the Court looks at the length of the marriage, when the inheritance was received, whether it was used to maintain a standard of living or kept separate, and the value of the funds, relative to the other marital assets. If there is an expectation that one person will inherit something, the spouse has no right to division of future inheritance. In most cases, a person cannot rely upon an inheritance until the Grantor or Trustee actually dies. 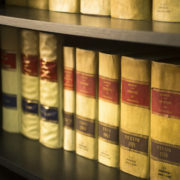 However, the judge may consider the expected inheritance in determining the future needs of the spouse, which could affect the settlement that the spouse receives; however, the impact of a potential future inheritance usually small, because, again, there is not typically an irrevocable document in existence. 1. A woman inherits $10,000 from her grandmother just before she is married. She immediately uses that money towards the purchase of a house and lives in that home with her husband. Fifteen years later, they file for divorce. In this case, she is unlikely to keep the full value of her inheritance. 2. A woman inherits the $10,000 from her grandmother just after she is married. She never co-mingles the money and doesn’t use it towards expenses or luxuries during the marriage. They file for divorce six months after their wedding. In this case, she is more likely to retain the full value of her inheritance. 3. A woman has knowledge that her grandmother has made a $10,000.00 gift for her in her Last Will and Testament. Fortunately for her, her grandmother is still alive. If she gets a divorce now, her spouse no right to any portion of the inheritance. As always, if you have any questions regarding this topic, or any other, please feel free to contact me for more information.